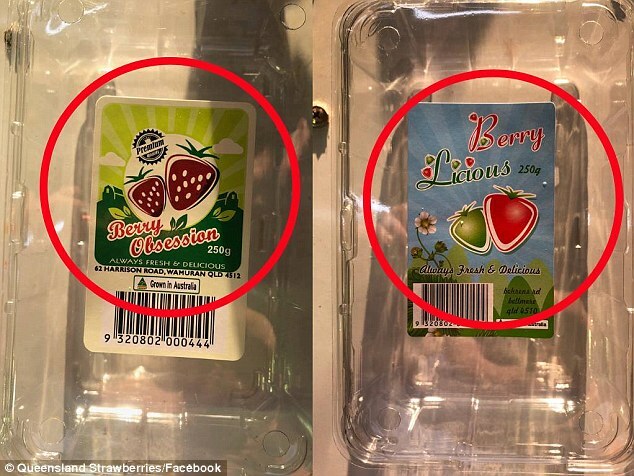 The contamination is believed to have affected the brands ‘Berry Obsession’, ‘Berry Licious’, ‘Love Berry’, ‘Donnybrook Berries’, ‘Delightful Strawberries’, and ‘Oasis’. 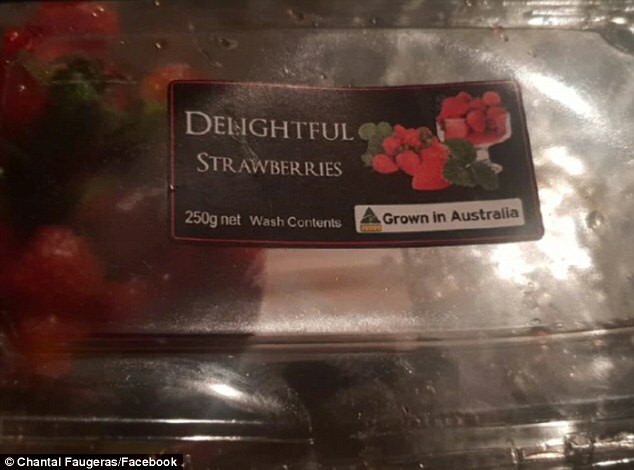 Commenters on Ms Faugeras’ post were grateful for the mother’s heads-up, with one saying they had just bought four packets of strawberries from the same store. 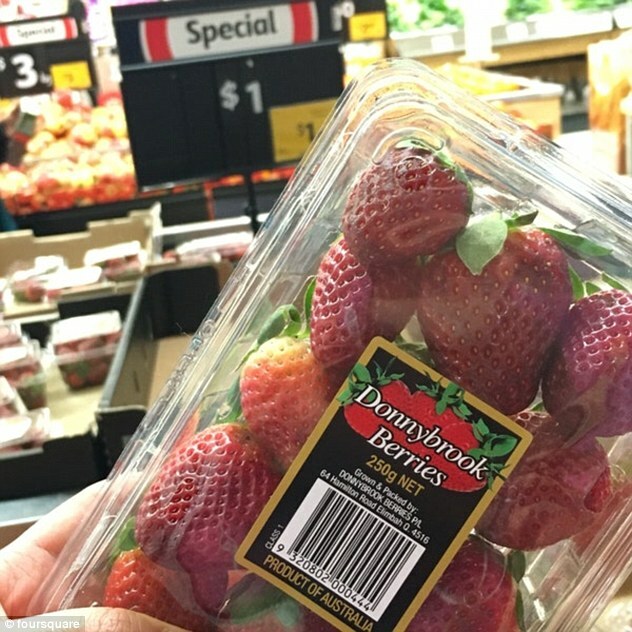 Another said: ‘Sent my seven-year-old with this brand of strawberries this morning. Just phoned the school after a friend had warned me and the office ladies are onto it thank god. 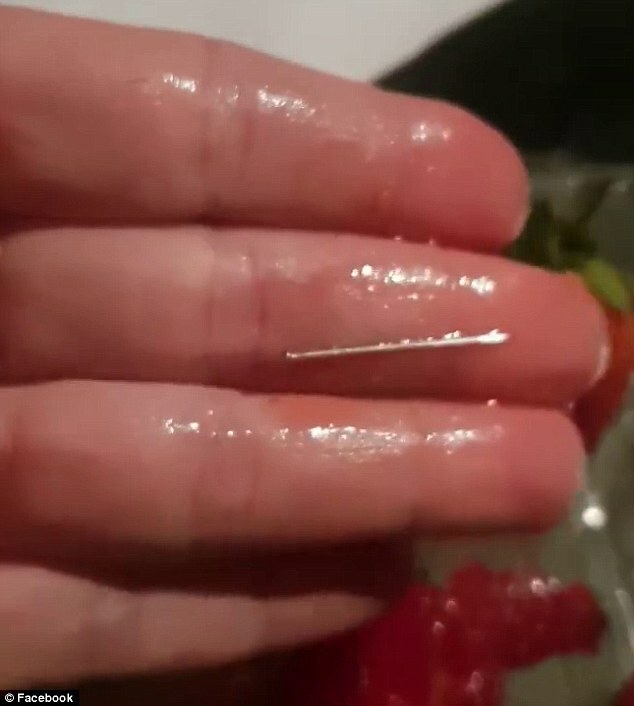 Mother Chantal Faugeras uploaded a video of her uncovering the second and third pin after her daughter had bitten down onto the first. 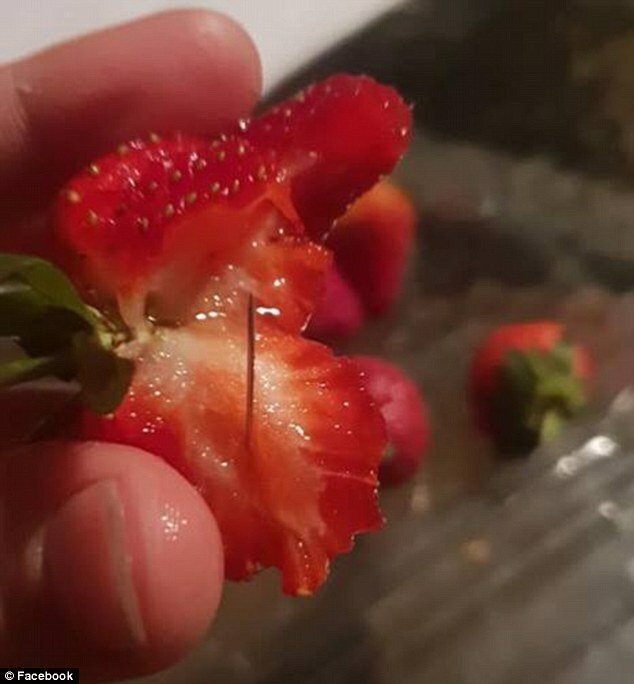 The discovery comes after five other cases of needles being found in the fruit – including one on Sunday where a man was admitted to hospital after swallowing half a sewing needle. 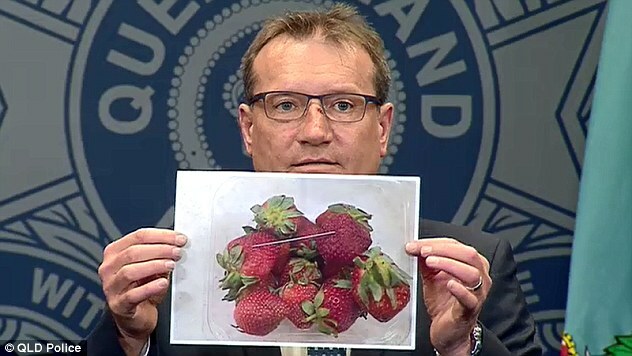 Queensland Police announced they had started an investigation into the contamination of strawberries on Wednesday – saying they believed the ‘Berry Obsession’ and ‘Berry Licious’ brands were those worst affected. 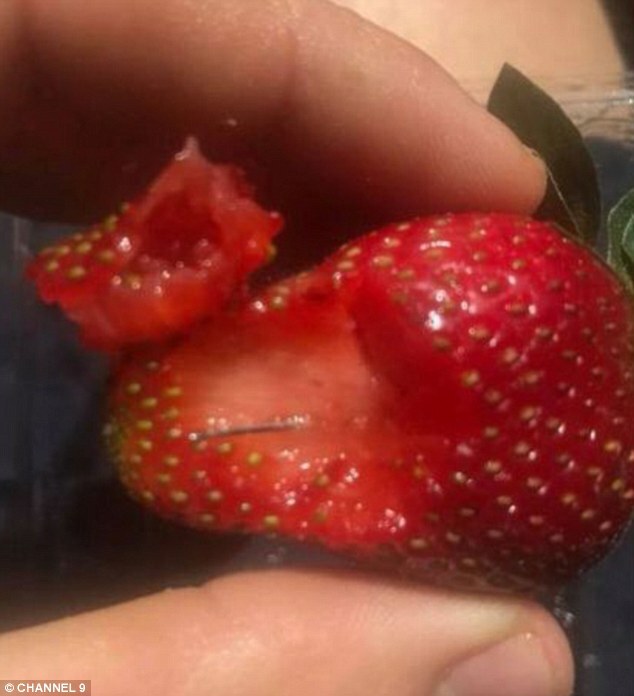 Queensland Strawberry Growers Association said on Wednesday they suspected ‘a disgruntled ex-employee’ may be behind the spate of incidents.